London: Sphere Books LTD, 1992. 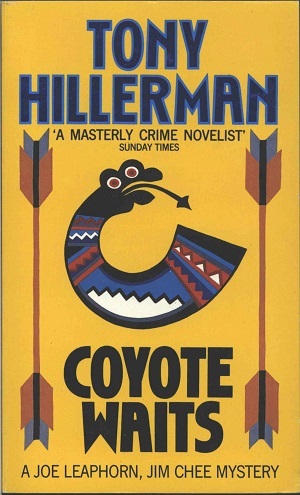 This is the second paperback United Kingdom edition of Coyote Waits, published in 1992 by Sphere Books Ltd, in London, England. The cover design is by Lesley Howell and features a colorful pictograph stylized snake framed on two sides by double-ended arrows. Format: Paperback, 17.8 x 10.8 cm. Binding: Full-colored paper covers with the author, title and publisher's logo printed vertically on the spine in white.